We are excited to announce a new array of features recently added to our channel marketing and management platform. These features greatly enhance user experience, increase content management control and further elevate the effectiveness of channel marketing capabilities for vendors and their channel partners. “These new features represent StructuredWeb’s commitment to continually improve user experience and our dedication to providing the most comprehensive channel marketing platform on the market, enabled through innovative technology,” said Daniel Nissan, CEO and founder of StructuredWeb. “Capturing the mindshare of solution providers continues to plague many channel programs, especially those enlisting them into marketing campaigns. With partner adoption at record lows in b-to-b channels, with the release of these new features, StructuredWeb expands its capabilities, making it easier for suppliers to engage with their partners. By expanding the marketing tactics and offering partners quick-access to pre-built campaigns, StructuredWeb is raising the bar in the area of through-partner marketing,” said Laz Gonzalez, Group Service Director for channel strategies at SiriusDecisions. 1. Integration with SDL WorldServer, An Enterprise Translation Platform StructuredWeb now supports direct integration with SDL WorldServer, a leading provider of content translation services. Content uploaded on the StructuredWeb platform can be translated to 80+ languages using automated machine learning systems that are synced with professional translation services. This new integration streamlines content management processes, reducing translation time and costs by more than 50%, and helps to ensure that more partners effectively market vendor solutions by making content easily accessible in the native language of partners’ local buyer markets. 2. Asset Quick-Share Capability A new asset sharing feature allows vendors to quickly share assets and campaigns by generating a unique link which directs the user to a specified asset. 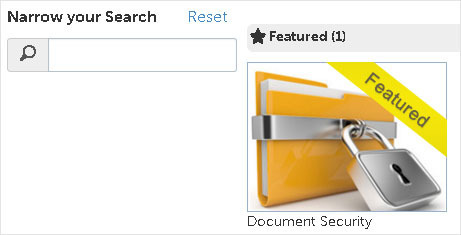 The quick-share feature eliminates the need to search for assets and provides partners with direct, instant access to the most relevant content. 3. Set Start/End Dates of Assets by Tactic Type Users now have the ability to set Start Dates and End Dates for assets by marketing tactic type. This feature ensures that content available to partners is always current and relevant and that content is provided in the right tactic (email, banner, social, whitepapers, etc.) at the right time, so that execution is optimized and vendor content is leveraged effectively by partners to communicate with buyers. This content control feature eliminates the manual, repetitive process otherwise necessary to keep content fresh and relevant to partners and best manage campaigns. 4. Quick Customize, Download and Execute Asset Functionality StructuredWeb users now benefit from a quicker, easier process to customize and send or download vendor provided assets with the click of a button. When viewing assets in their Partner Demand Center (PDC), users can customize, co-brand and execute assets directly from the platform with the click of a button, or instantly download for execution. This functionality simplifies user experience and boosts partner marketing execution rates. 5. Featured Campaigns Vendors now have the ability to “feature” campaigns to partners in their Partner Demand Centers. The Featured Campaign function helps to ensure that new or important campaigns a vendor wants to promote are highlighted and made readily available to partners for execution. Campaigns can be set with automatic “featured dates” so that the campaign is no longer featured after the specified date. 6. Customizable Platform The StructuredWeb platform is more customizable than ever! 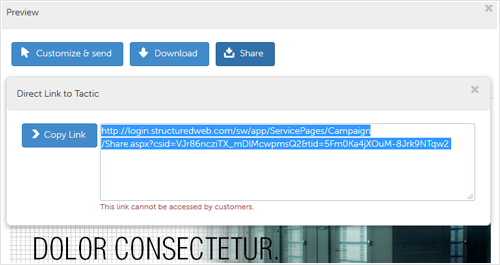 Vendors can now fully customize their StructuredWeb portal with brand color schemes and custom images. This feature adds a level of personalization to the StructuredWeb user experience and allows vendors to create a look and feel which best represents their brand to users and channel partners. “At the core of our technology solution is a resolve to better enable channel marketing capabilities while simplifying channel marketing processes so that brands can engage more partners, reach more customers, drive top line revenue and continue to grow their channel networks. We look forward to driving more innovation, growing partnerships and continuing to elevate the marketing capabilities of channel networks on a global scale in 2016,” said Nissan of the year ahead for StructuredWeb. Have a question about any of these new features, or want to learn more about the comprehensive solutions StructuredWeb provides? Click here to request a free demo and see how our solutions come to life to simplify channel marketing and solve complex problems for channel organizations around the world.